Fazza went to Beverley on Tuesday afternoon and ran in the one mile and half a furlong handicap and Joe Doyle rode taking three pounds off. Fazza had been very inconsistent this year but the handicapper had relented and on his best form Fazza had a chance to be competitive in this race. From the break Fazza was settled against the rail tracking the early pace in midfield. As the field swept round the bend into the home straight every horse had some kind of chance. Joe was getting a good tune out of Fazza but crunch time was about to come when the sprint for home began. Around two furlongs out Joe edged Fazza off the rail to try and get a clear passage. Hitting the final furlong the field were spread across the course with several horses in with a chance of winning including Fazza who was on his best behaviour. With some of the early leaders dropping back Fazza was finishing with great effect and with fifty yards to run he was in a three way tie for the lead and looked to have his head in front. In the shadows of the post Fazza and another horse were locked together and in the final stride Fazza’s opponent stuck out their neck and Fazza was denied the win. It was a good effort from the old boy and on this showing it is hoped he can get a win before the season concludes. Saturday was a bust day with three runners. Oceanella was up first when she went to Chester and ran in the seven furlong maiden with Tom Eaves in the plate. Drawn in stall four we were hopeful of a good run. Unfortunately for Oceanella as the stalls opened horses either side came across and the three of them were involved in bumping match and Tom seeing that the gap in front of him was closing took Oceanella back and they found themselves at the rear of the field as the group sped towards the first sharp turn. As the race progressed with the pace being set a good one Oceanella got herself lit up and began to pull Tom faster than he really wanted her to go and she soon made up the lost ground and was taking a strong pull. Rounding the sharp turn that leads towards the short home straight Tom was against the rail and trying to get Oceanella a path through. Four horses up front kicked for the finish and Oceanella was tapped for toe and room and although she ran on inside the final furlong she was never able to land a serious blow to the principals and finished in fifth place. A slightly disappointing effort but the track and the race did not play to her strengths and there will be other days for this filly. Fast Shot was up next at Haydock and he ran in the six furlong sprint handicap and David Allan rode. After a better effort last week it was hoped that Fast Shot could back this effort up and again show the ability he possesses. From the off drawn in the centre of the track David was content to allow Fast Shot to tuck in behind one of the horses that was making the running. The field were spread across the course and around two furlongs from home David angled Fast Shot from behind this horse and they had a clear run in front of them and began to make some progress. Howe haver their effort was only short lived and as the leaders went inside the final furlong Fast Shot was gradually going backwards rather than forwards and he finished at the rear of the field. It appears the horse is saving a bit for himself and a change in tactics could well be employed next time in an attempt to get him back to the form he showed at the start of this season. Last up on Saturday and for the week was Yourartisonfire who also ran at Haydock in the one mile handicap and Richard Kingscote rode. From the off YAIOF was settled in midfield by Richard after they broke from their wide draw. Positioned on the outside of the field as the runners made their way down the back straight YAIOF was traveling with enthusiasm and was getting a nice lead into the race. The pace of the race lifted around three furlongs from the finish and Richard gave YAIOF a crack with his whip and asked the horse to pick up. Richard waited for the response but YAIOF couldn’t close the gap on the leaders. At the furlong from home marker Richard accepted the situation and stood up in his irons and allowed the horse to finish in his own time on ground that probably didn’t suit the horse who has been on the go since the first day of the season. We start this week on a sad note. Our long time friend and business partner Alan Vaux passed away suddenly last week. He is remembered by his wife Jean, his family and all his many friends. Alan was one of the original partners to support horses wearing the yellow and white silks, 16 years ago, along with Simon & some others. Alan was a true gentleman, slow to criticise, always supportive and always picked out the positives from every performance. We never had a bad word between us. We will miss his smile on racedays. It will take a bit of adjusting to his absence to be honest, he’s been an Owner and close friend to us right from our first runner. 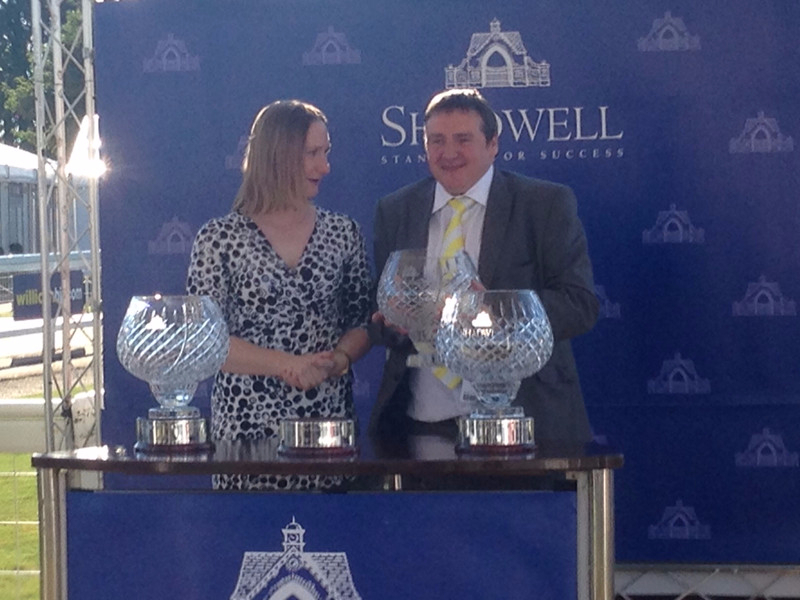 Alan was hugely proud of Ontoawinner and will have really enjoyed Quiet Reflection’s emphatic victory on Friday at Ayr. Wherever he watched it, I guarantee you he enjoyed it. An Angel may have been a warm favourite but Alan had all Angels onside and Quiet Reflection had everything else covered. He will be much missed, and fondly remembered. Isla Rose kicked off the week’s runners when she ran at Wolverhampton in the seven furlong nursery and Duran Fentiman rode. Isla Rose wore first time eye shields to try and spark some more improvement in her. Drawn out in the car park in stall twelve it was always going to be a difficult ask for her. From the stalls opening Duran was keen for them to get a good position and bustled her along and used up some energy in trying to get a decent positon. The plan nearly succeeded but the horse on their immediate inside also had the same idea and by the time the sharp bend that takes the runners into the back straight appeared, they were stuck out wide in a joint share of fourth place. Down the back straight Duran was keen for them to remain handy and although out a little wide they were still traveling on the heels of the leaders as the runners started to make the sweeping bend that leads out of the back straight some three furlongs from the finish. It was here that Duran just had to push along at Isla Rose to keep her position. As the field made the turn IR was slipping back through the field and by the time the field straightened for home and the dash for the winning line began in earnest IR was beaten off and although Duran kept her going and up to her work she dropped out and finished near to the rear. There were several negatives about the race, the draw first time on the surface but again this filly that works well at home just didn’t fire on the track. Teds Brother went to Carlisle on Tuesday afternoon and ran in the one mile handicap and Rob Hornby rode taking five pounds off. From the break Teds Brother was slowly away and conceded most of the runners a good few lengths. From this position TB was always playing catch up with the pace being set a strong one. As the field turned into the home straight the field began to group closer together and Rob switched TB towards the far side of the course and he got to work on him. There looked for a moment that TB would get competitive at the business end but inside the final two furlongs he could make no more impression on the leaders and TB stayed on at the same pace finishing in mid pack. London Protocol ran at Sandown in the seven furlongs Conditions race and Ben Curtis rode. There had been heavy rain during the day and the ground was very soft. With a couple of non-runners there were only four runners left in the race and LP was the outside of the quartet. From the off Ben settled LP in second place and they tracked the early leader with the strong favourite in behind them in third position. Due to the ground conditions the pace was a sensible one and as the field turned into the home straight the runners headed towards the nearside of the race course which is where the better ground is at Sandown when they have a lot of rain. Around two furlongs out, the pace lifted as the leader tried to kick for home, LP came under pressure and Ben tried to push LP forward and push for the lead. The favourite was also under pressure and these three horses had the race between them. Ben kept driving and LP kept responding but in the climb to the finish inside the final half a furlong LP had no more to give and Ben allowed LP to finish in third place. An excellent effort giving weight to the two horses in front of him on ground that may not be ideal. 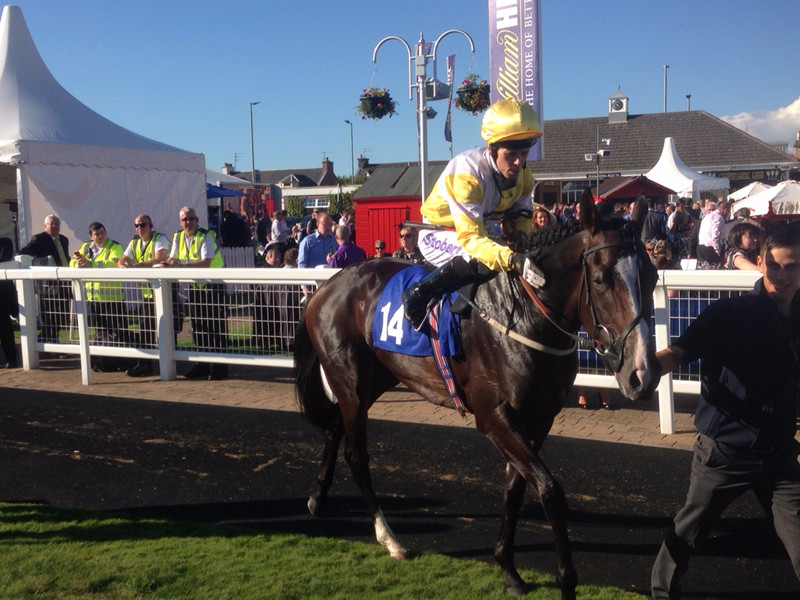 Friday saw us have four runners at Ayr and there were plenty of owners that made the trip to watch their charges. First up was Flying Pursuit who ran in the six furlong nursery and Duran Fentiman rode. The ground had dried up slightly although the jockeys reported the horses were just getting their toe in. Duran from the stalls opening kicked FP forward and in this big field FP was in front at the head of affairs bowling along. FP was pointing his toe and bouncing off the ground and as the field made their way to the two furlong from home marker FP had many of his rivals in behind him struggling to get to him. Duran gave FP a slap with his whip and FP kicked two lengths clear as they reached the final furlong. It looked like they had stolen the race howe haver flashing towards him was one horse that had come out of the pack. FP was giving his all but this challenger joined and passed FP in the final hundred yards and FP stayed on holding all his other rivals and finished in a well-deserved second place. It was a fantastic effort from him and a career best performance on ground that was a little quicker than ideal. Up next in the Bronze Cup we had Yeeoow and Fast Shot running in this ultra-competitive six furlong sprint. Yeeoow was ridden by Joey Haynes whilst James Sullivan rode Fast Shot. As the twenty five strong field made their way down the home straight there were three horses that stayed against the stand side rail whilst the rest of the field went down the centre of the track. Yeeoow on the left wing of the field was prominent for much of the race whilst Fast Shot was in behind runners. As the pace lifted and the dash for home begun Yeeoow came under pressure and though Joey was hard at work on him he could not maintain his challenge and began to drop away. On the other hand Fast Shot in first-time blinkers was beginning to make headway and come through horses. Howe haver with the ground again quicker than ideal Fast Shot stayed on well but the horses at the head of affairs just weren’t stopping and although it was a good effort Fast Shot could only finish in ninth place but beaten only just over four lengths. A good effort and hopefully with some rain around Fast Shot could well be back into the winners enclosure before the season ends. Our last runner on Thursday was Quiet Reflection in the five furlong listed contest. Graham Lee rode and although the market spoke in favour of Easton Angel that had beaten QR at York, hopes were high that QR would be suited by the drop to five furlongs and with more experience under her belt, she would go well in this very competitive race. With the large field QR was drawn well in stall six and Graham’s instructions were to keep it simple, track the early leaders and then kick for home inside the final furlong. From the off there was plenty of pace on close to QR and Graham was sitting in behind the early speed as the field was spread across most of the track. QR was still travelling powerfully two furlongs out and Graham was sitting still when many of their rivals had their jockey’s arms waving as their mounts came under pressure. As they closed in on the furlong form home marker Graham moved QR forward with ease and they were now sitting on the shoulders of the leader whose jockey was hard at work whilst Graham sat motionless. Inside the final furlong Graham gave QR a push and she immediately quickened and went a length up. Graham gave QR a gentle flick and the speed she showed at Hamilton on debut was repeated and QR quickly went two, three lengths clear. Graham kept QR up to her work waving the stick to keep her going without hitting her and QR flashed past the winning line four lengths clear without Graham every getting serious on her. 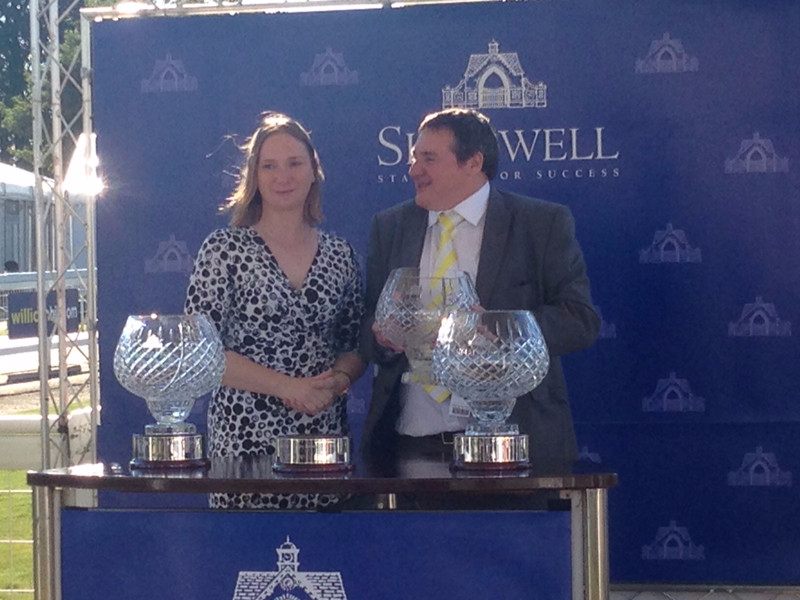 It was an extremely impressive performance to the delight of all her excited owners. Unsaddling Graham stated she was a lovely filly, with a great temperament and everything in the race had gone to plan and in his word she is “an aeroplane”. Well done to all her owners and the sky could be the limit with this filly. On Saturday Blue Maisey went to Catterick and ran in the seven furlong handicap and Jordan Vaughan rode. From their wide draw Jordan got Blue Maisey out smartly and as the field went down the back straight Maisey was disputing the early lead with a horse on their inside. As the field turned into the home straight Maisey with Jordan’s urgings joined and passed the horse to their inner but they were immediately challenged on their outside. As they reached the final furlong it looked like Maisey would record another victory, howe haver her last challenger had got a dream run against the farside rail and with half a furlong to run this horse went ahead of Maisey. Maisey to her great credit fought back and as the two horse flashed past the winning line it was a tight call but unfortunately Maisey had been beaten into second place. A much better effort from Maisey who appeared to enjoy being at the head of affairs and she was only narrowly denied. Memphis Magic was our last runner of the week when he went to Plumpton and ran in the two mile three and a half furlong novice’s handicap chase and Brendan Powell Jnr rode. This was his first run over the larger obstacles and after some decent efforts on the flat this was all about education and a safe round of jumping being the goal. From the off Brendan settled MM towards the rear of the field to try and get the horse settled and get a clear sighting of his fences. After brushing through the first fence Brendan allowed MM to get in close to several of the fences on the first circuit and they remained in the rear positions. Jumping the last fence before embarking on their final circuit MM got in close and made a mistake and Brendan was thrown forward in the saddle. Rounding the turn into the back straight Brendan was bumping the horse along as the leader and ultimate winner was settling a very fast pace. Down the far side MM looked like he was having to climb over the fences rather than jump them and as the field turned for home MM had lost his place and was now tailing off towards the back end of the field. Wisely Brendan pulled MM up. It was always going to be difficult for MM on his first start over fences against experienced rivals and we will see how he comes out of the race. The Yearling Sales have come back around and we’ve added five yearlings to date to a strong Ontoawinner team. Check out the Tim Easterby horse profiles on the website and come along to talk to one of us at Malton Open Day this Sunday, September 13th if you are interested in joining the Ontoawinner owners group. Tim has done us proud in recent seasons, buying Sakhees Return and Flying Pursuit. We’re sure we’ve strengthened the Ontoawinner Easterby team this time with the addition of a very strong smart looking Harbour Watch colt whose second dam was rated 101. 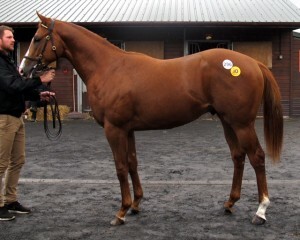 We also bought a well bred Paco Boy filly out of a very honest dam who has produced three winners. The Paco Boy filly is proving very popular, with Paco Boy having such a good first season on the racetrack as a sire. 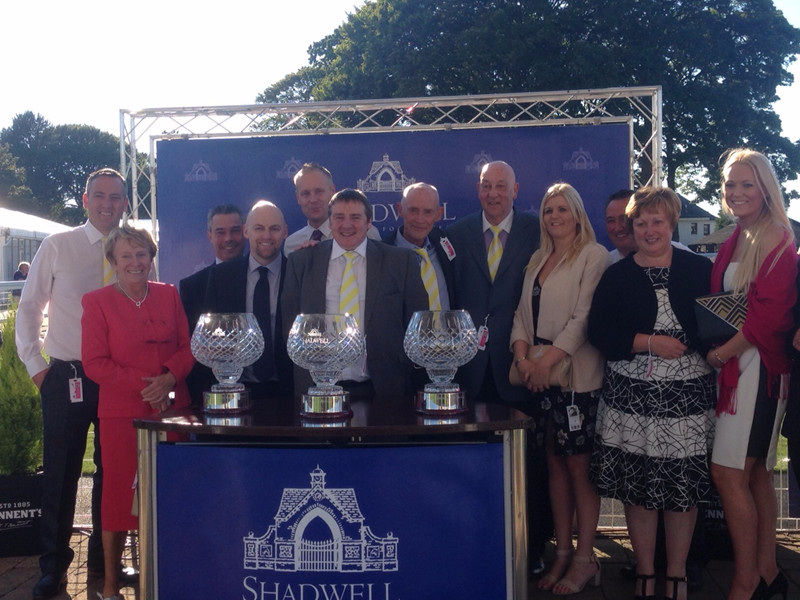 Each syndicate is restricted to 10 owners and anyone taking a leg will get naming rights. In other news, we’ve bought a nice Royal Applause colt with Kevin Ryan who will appear on the site soon but you can secure a share and get more detail by mailing niall@ontoawinner.net . We’ve also bought a lovely strong Casamento filly with Karl Burke, who we bought smart fillies Ticking Katie, Katie’s Diamond, Oceanella, TabiKat Elle, Little Lady Katie and Quiet Reflection with. 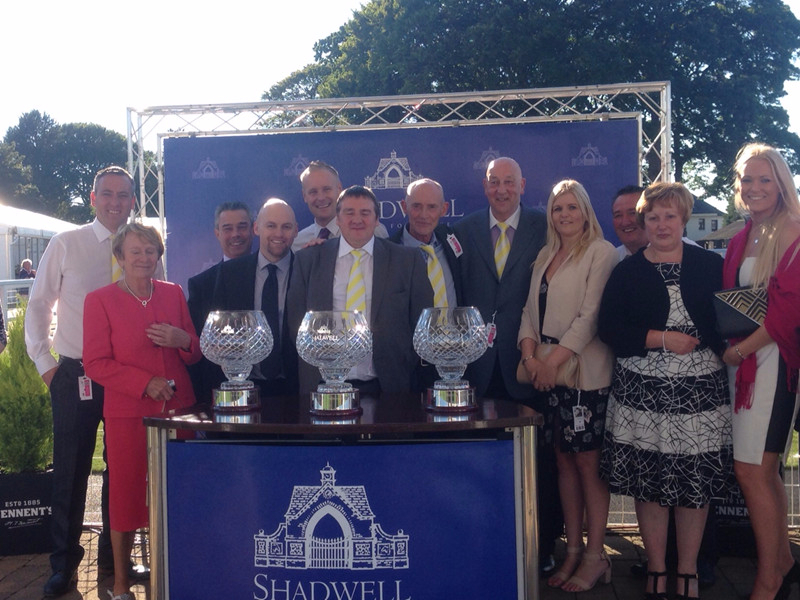 There is just 25% left in her now, mail simon@ontoawinner.net quickly to secure your share. That partnership is restricted to 10 owners too but several bigger players already involved mean there could well just be 5 or 6 owners in her. We’re set to have a busy September on the track with Toocoolforschool and Yourartisonfire heading to Doncaster for Leger Day. Quiet Reflection goes to Ayr for the listed or Grp 3 sprint for 2-y-0s, while London Protocol probably heads to Sandown midweek next week for a Conditions stakes. Exciting prospects Oceanella and TabiKat Elle will be out again soon and with winter not too far away we eagerly await the return of the Alan Swinbank trained Mitchell’s Way and new addition Down The Line, who looks a classy addition to the ever strengthening Ontoawinner team. We continue to attract new knowledgeable owners which is great, attracted by our very nice purchases, regular communication, prompt responses, transparency and fair pricing.